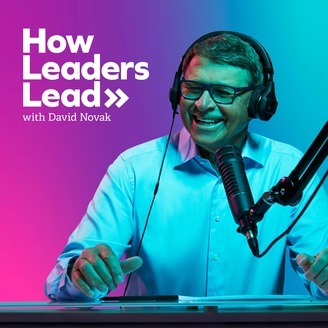 The oGoLead Leadership Podcast Features hosts David Novak and Gregg Dedrick. oGoInsider Leadership Podcast is a bi-weekly podcast with today's best leaders. Each episode will give you an inside look at how Heartwired and Hardwired leaders make a positive difference in the world. Visit our website for free resources to help you grow in your leadership today. 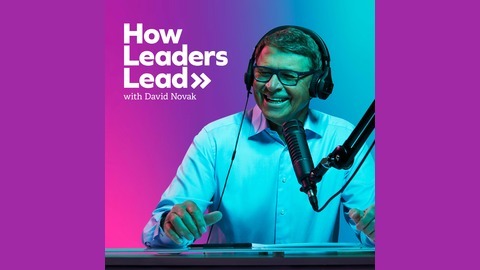 David Novak is a renown expert on leadership and recognition culture. David is a New York Times best-selling author and the co-founder of Yum! Brands, the world’s largest restaurant company (KFC, Taco Bell, Pizza Hut). He was named "2012 CEO of the Year" by Chief Executive magazine, one of the world’s “30 Best CEOs” by Barron’s, one of the “Top People in Business” by FORTUNE and one of the “100 Best-Performing CEOs in the World” by Harvard Business Review Gregg is the past President of KFC and served as Chief People Officer for Yum! Brands. Gregg Dedrick is also a strategist and consultant specializing in organizational transformation and founder of Iron Bell Music. Together, David and Gregg have created a world-renowned recognition culture based on putting people first. Now they are helping others learn how to Heartwire their leadership to Hardwire Success. http://ogolead.com.